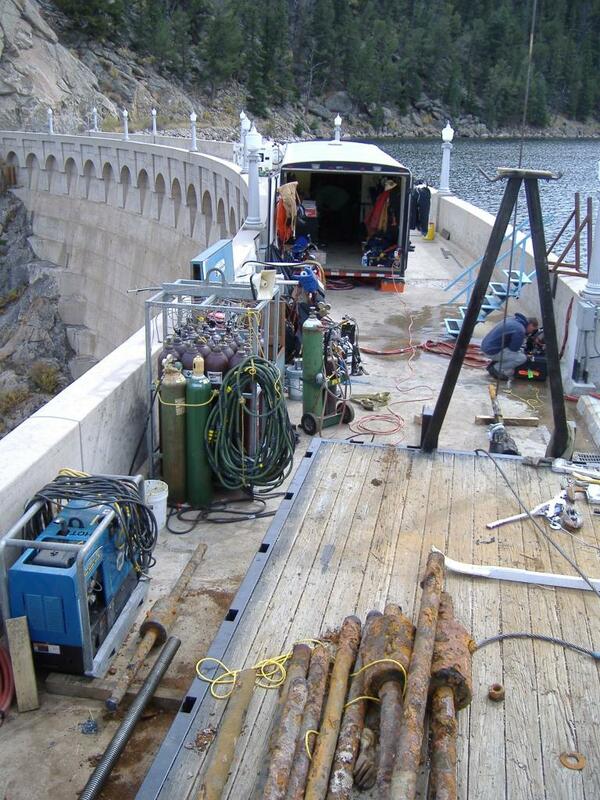 Eleven Mile Canyon Dam Gate Repair - Global Diving & Salvage, Inc. 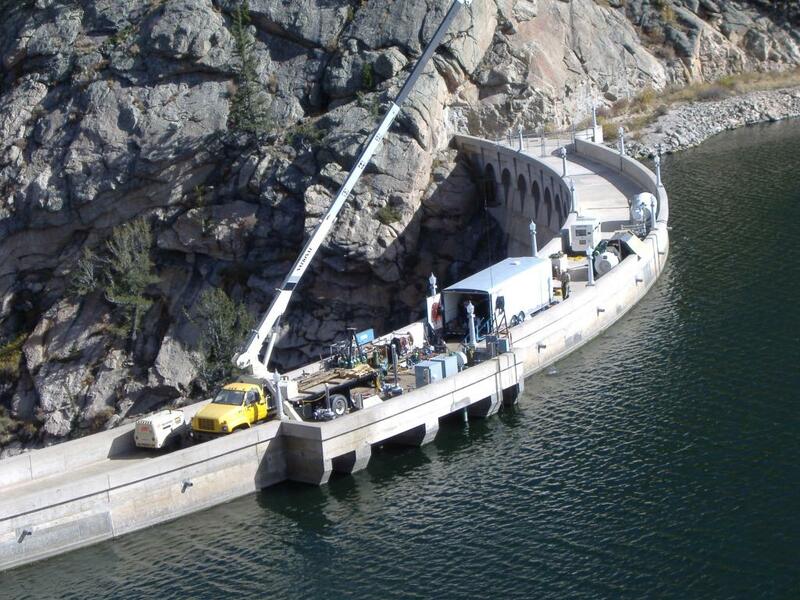 Located approximately 70 miles southwest of Denver, Colorado at an elevation of 8,602 feet, Eleven Mile Canyon Dam is owned and operated by Denver Water. Global was contracted to remove and repair the inlet gates. The gates were located at a water depth of approximately 104 feet. Converting for the elevation, divers were exposed to an equivalent water depth of 140 feet. Divers performed work using a combination of standard air and Nitrox. 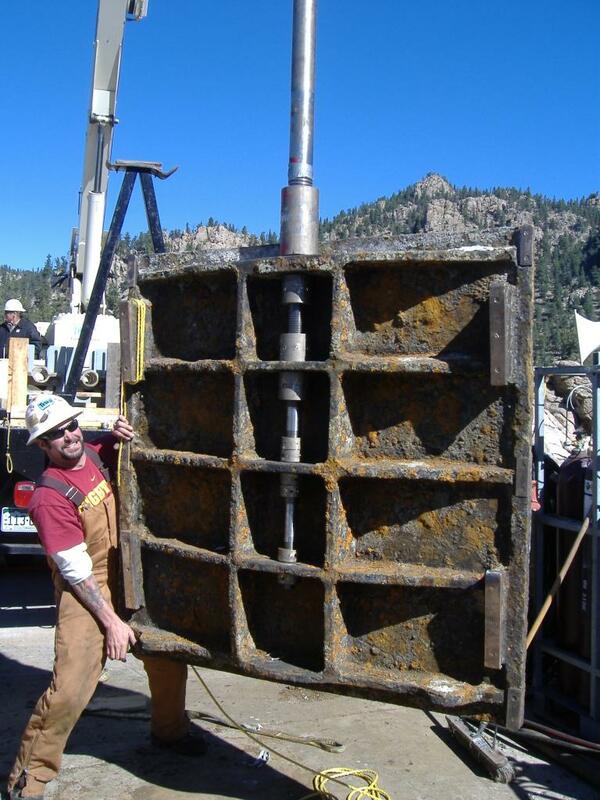 Tasks included the removal of the stems and guides from the face of the dam. Once the stems were removed, the gates were brought to the surface where the existing hardware was removed and the gate pressure washed. New stainless steel stems, guides and couplings were then installed.